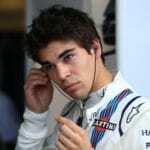 Read Lance Stroll's thoughts after his positive afternoon completing a race simulation in the Williams FW41 yesterday. 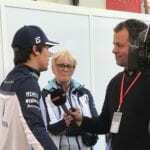 Lance Stroll talks about how 2018 is going to be a much better season for him and Williams. 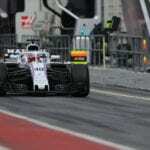 After missing out on a shock F1 race comeback with Williams, Robert Kubica says he is enjoying his new role with the team and is 100% committed to helping regular drivers Lance Stroll and Sergey Sirotkin develop. Williams has a quandary to solve with their 2018 driver pairing. Do they stick with stability, or opt for a new lead driver?Badger's Nicky Haldenby looks at the potential candidates for the seat. 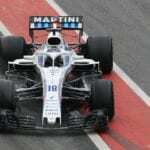 With the upcoming Canadian Grand Prix just days away, the spotlight will be well and truly on the country’s only current F1 driver, Williams’ Lance Stroll, but perhaps not the for the reasons he’d have hoped. This is how you celebrate your birthday if you're an F1 team! In part two, Rob Watts looks at the pre-season form of last season's top five - Force India, Williams, Ferrari, Red Bull, and Mercedes, and suggests who could be the team to beat this year. 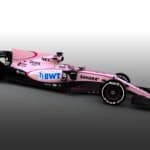 Force India rocked the boat by unveiling a garish, yet daring, pink livery just in time for Melbourne next weekend. It got us BadgerGP lot wondering how many other brash liveries have we seen in Formula One’s colourful past. 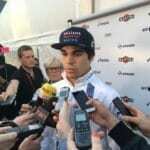 Lance Stroll met with the media last night outside Williams hospitality to talk through how the second week of testing has been for him so far. 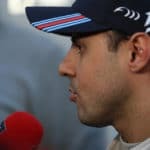 A quite-rightly chirpy Felipe Massa came to talk to the assembled media on the first day of the second week of testing in Barcelona. Williams F1 recently announced that Karun Chandhok, ex-F1 driver and current Channel 4 pit-lane reporter, would be joining as their the official driver for the team’s Heritage division.Rob Watts caught up with Karun to find out which of the Williams heritage cars were trickiest to drive, and which gave him the most satisfaction! 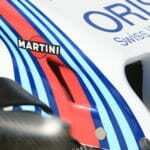 Formula One cars have the lifespan of a single racing season, but thanks to it's Heritage Division, Williams F1 are ensuring there is life in the old dogs yet. 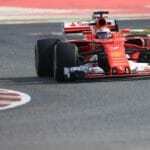 After four different race winners in four races, it didn't seem like the 2012 season could get any madder, or more inconsistent, ahead of round five in Spain. Oh, how wrong we were.Laura Leslie looks back at a classic. It's fair to say that BO77AS is pretty optimistic after his final day of testing. And so the grid for Formula 1 2016 is all set. Here's the complete gallery of the new fastest cars on the planet.